It’s been a terrific month of Split 50-50 raffles. From great results for the Women’s & Children’s Hospital Foundation, to fantastic prize pools at SANFL level, and the continued big totals at the grass roots with Cove Football Club. On Friday the 17th of August the South Australian Firefighters launched their Calendar at HQ complex. Money raised from the sale of the calendar goes towards the Women’s & Children’s Hospital Foundation. 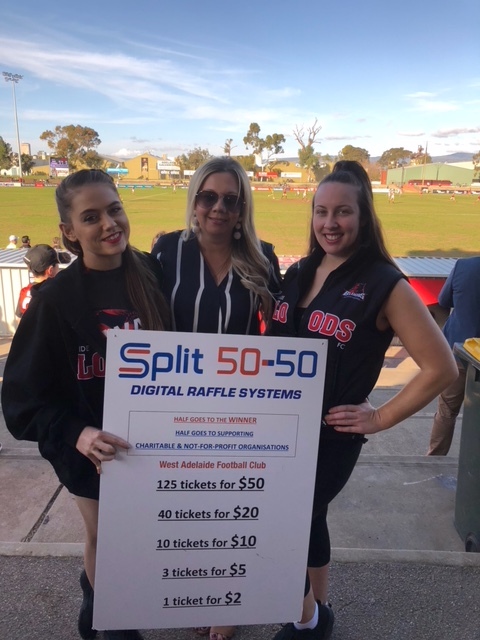 The foundation held a Split 50-50 raffle on the night with a total of $1760 raised. Sarah Elliot won the raffle on a fantastic evening! 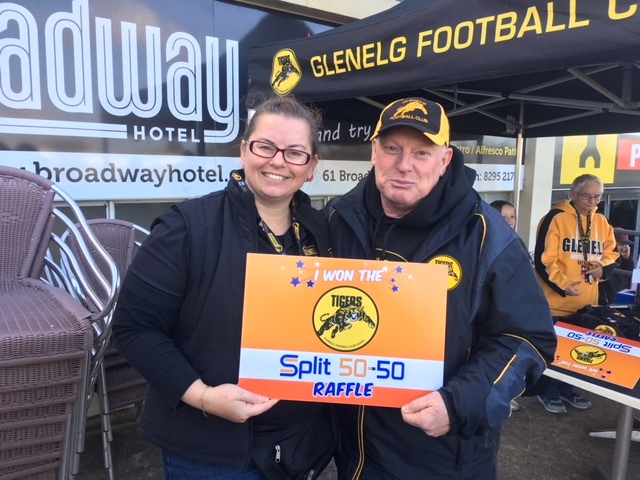 Glenelg rounded off another great year of Split 50-50 raffles with local horse trainer Richard Jolly winning half of $2482 at the Bays final game of the year. The result was then compounded when Glenelg dramatically won over Sturt with the last kick of the day and season. Really good raffle totals have been common down The Bay, with $1849 raised the week before. Max Atkinson got up on the day, and would you believe it was the beneficiary for the second time, having previously won it when the Tigers took on the Roosters earlier in the year – buy a lotto ticket Max! A couple of weeks, prior, $1910 was raised on a chilly Sunday down at Gliderol Stadium. It was a fantastic day for the Tigers with great work from the raffle seller volunteers. Glenelg and Bloods supporters got behind the raffle cause, while the Tigers won their third game on the trot against West Adelaide at the time. However the biggest winner of the day was Roger Yerramsetti taking home a cool $955 – what a way to round out the weekend!! Can you believe the Woodville-West Torrens Football Club? 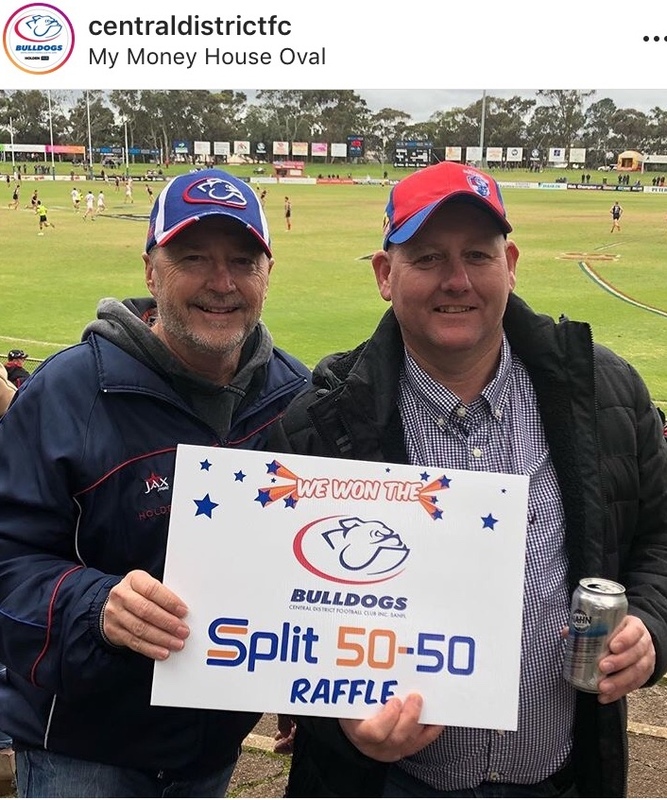 Their supporters and opposition club fans have had a HUGE couple of weeks with $3056 raised against Adelaide last week & $1539 the total against South Adelaide in the weekend just gone. Winners were Conrad Guerra ($1528) and David Couzner ($769.50)! Central District and South Adelaide Football clubs also had positive results in the last fortnight. Central District raised $919 & $1634 to round off the year. Graeme Skewes & Michael Frost shared the winnings against the Redlegs, while Stewart McFetridge took home $817 at My Money House Oval when the Dogs played the Eagles. 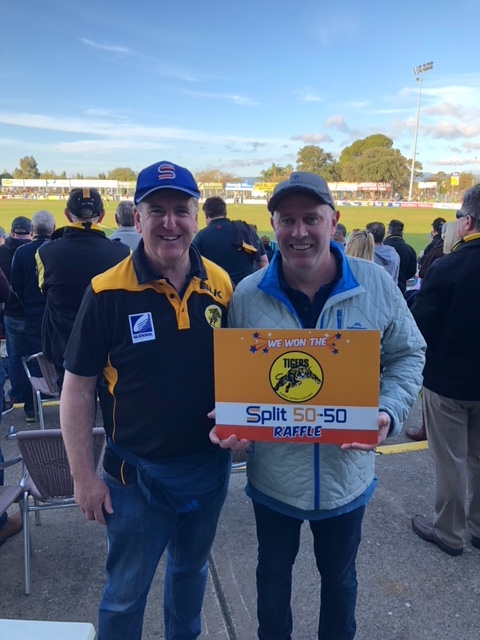 At Hickinbotham Oval, Bob Butcher came home with the chocolates in the Panthers Split 50-50 raffle when South met Sturt. 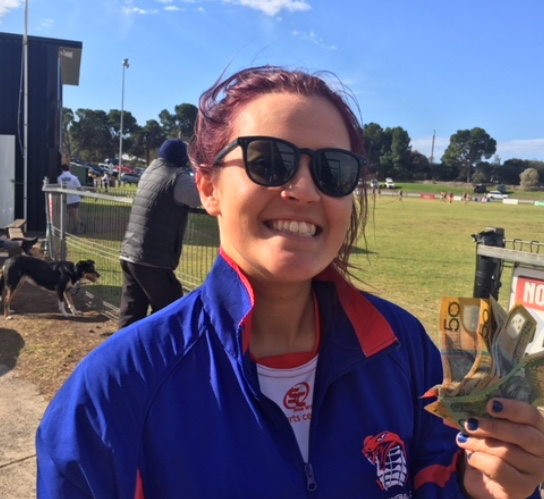 Michael Wilkins was the winner taking home $512 from the pool of $1024 on a beautiful Sunday afternoon down at Noarlunga last weekend when the Panthers knocked over the ladder leading Redlegs. Last week, Cove Football club’s unbelievable run of raffles at the grass roots level was sustained with $990 the total amount on the day. This comes after totals of $828 and $628 in previous weeks, showing continuous growth! 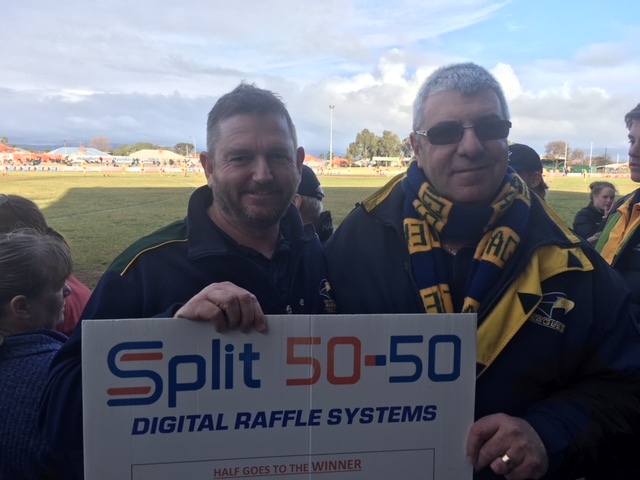 The Split 50-50 raffle has provided the club with a new and easy way to bring in extra revenue for the club, and aren’t they taking advantage of it with over $7000 raised so far this year! 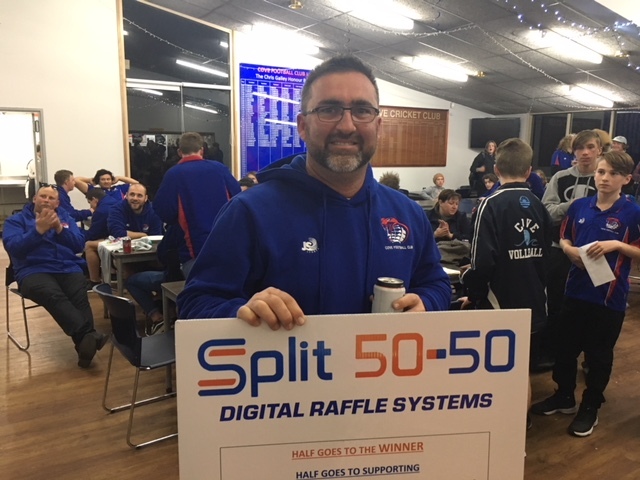 We would like to thank all the respective football clubs that have used Split 50-50 this year for their fundraising & also wish teams competing in finals, good luck!